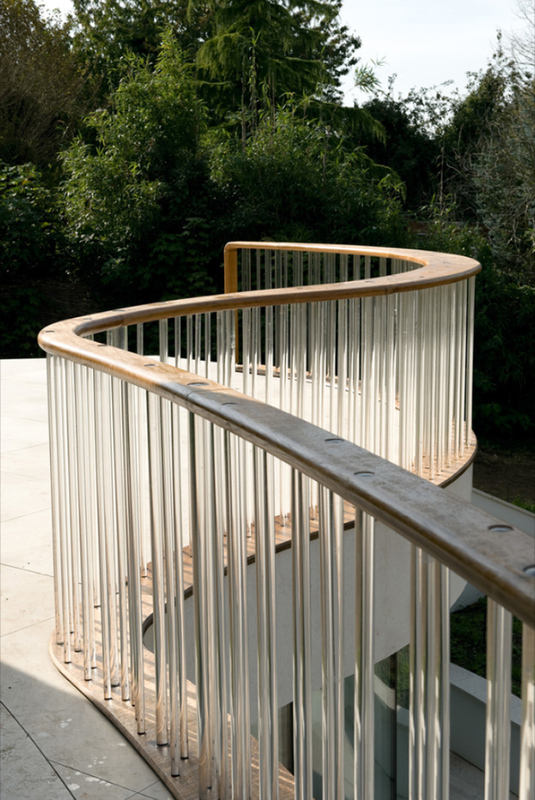 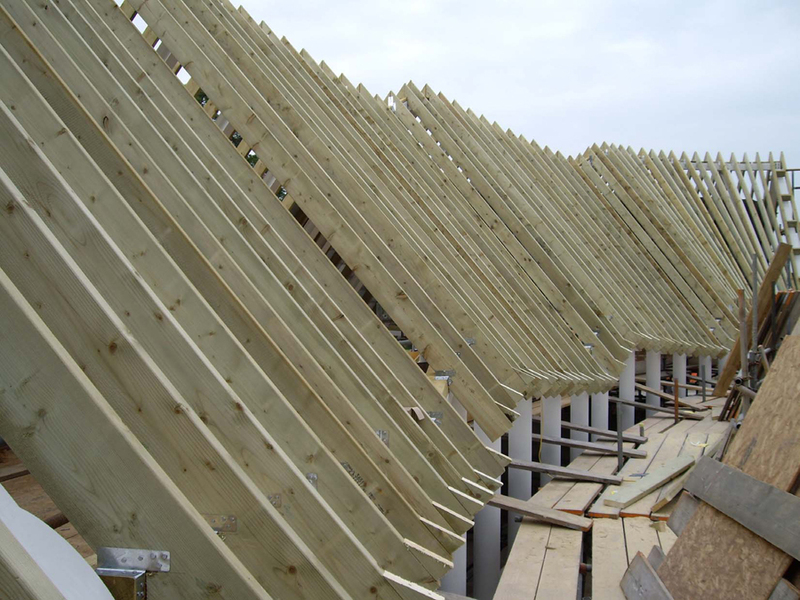 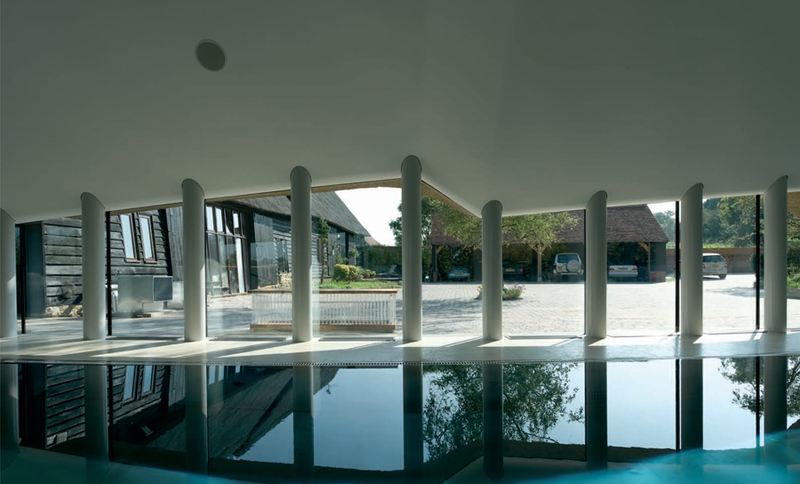 Completing a concept design by Ushida Findlay, this project involved the insertion of a curved pool house between two Grade II listed farm buildings. 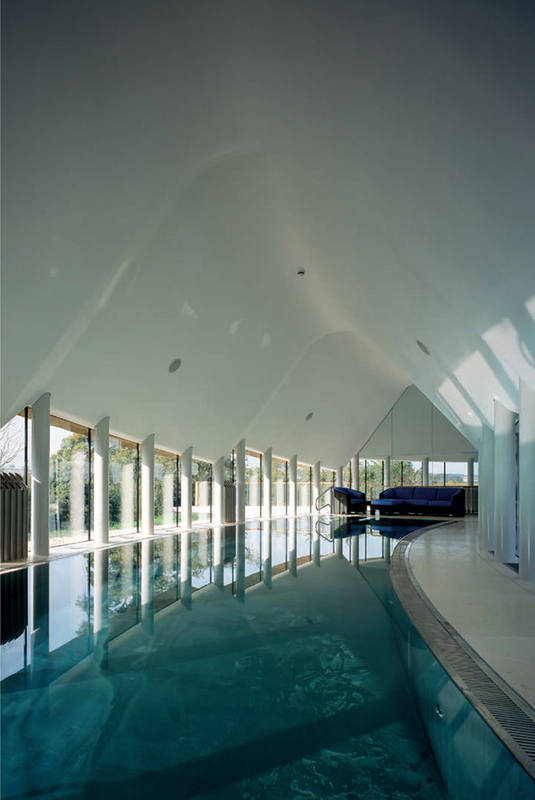 The pool house included a stainless steel swimming pool, gym, wine store and study facilities. 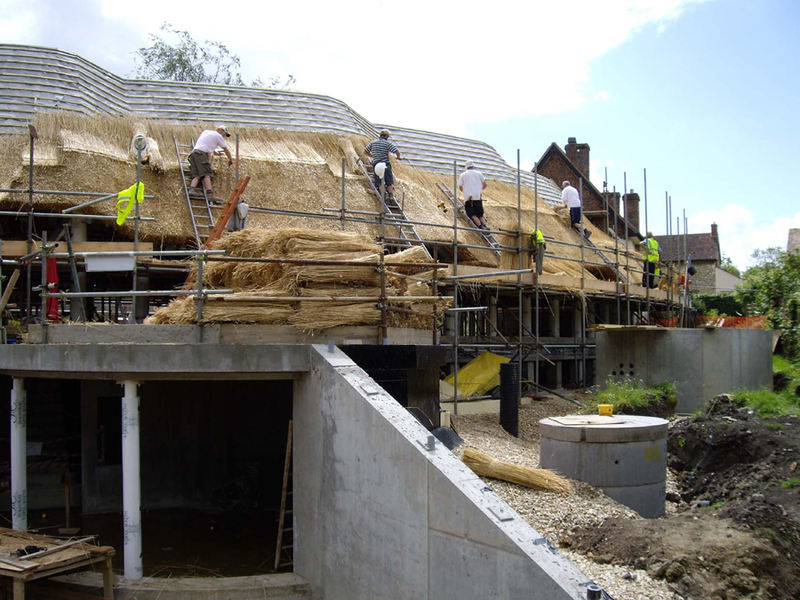 The project also included works to the two adjoining buildings and new oak framed garages and stables as well as the landscaping. 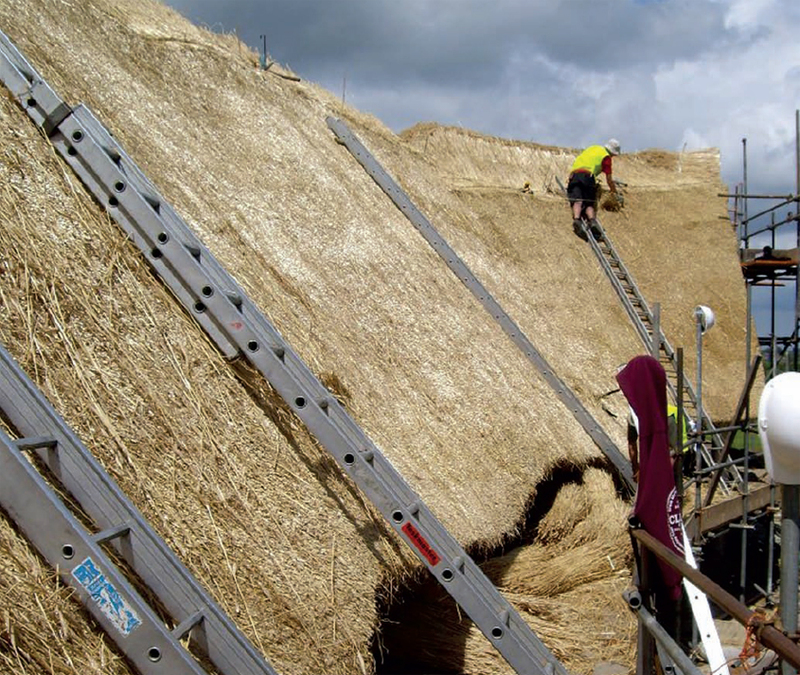 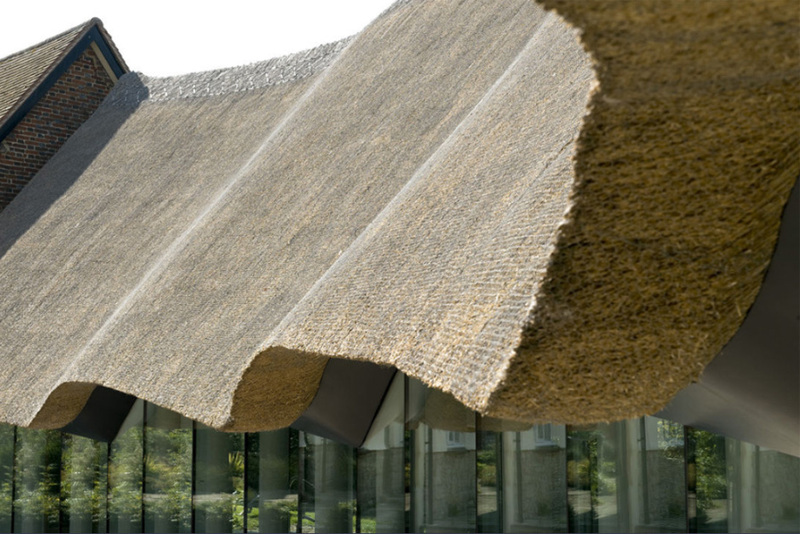 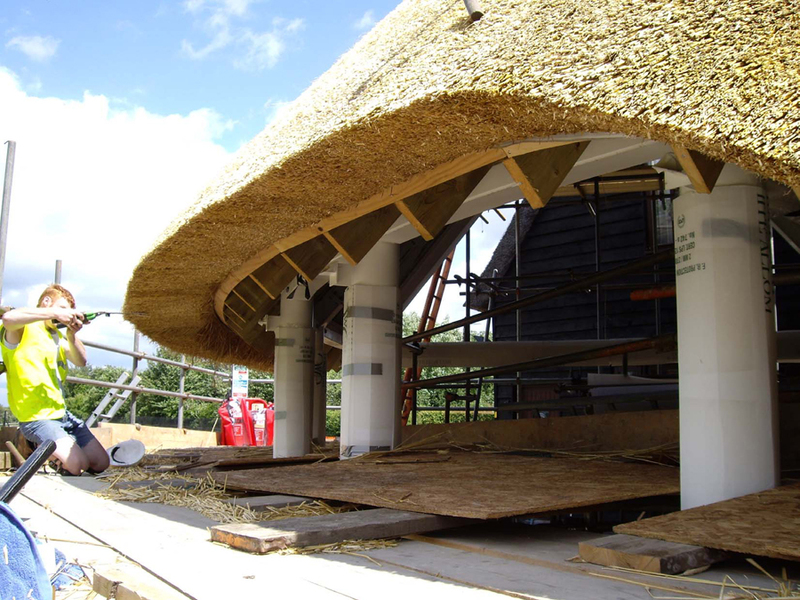 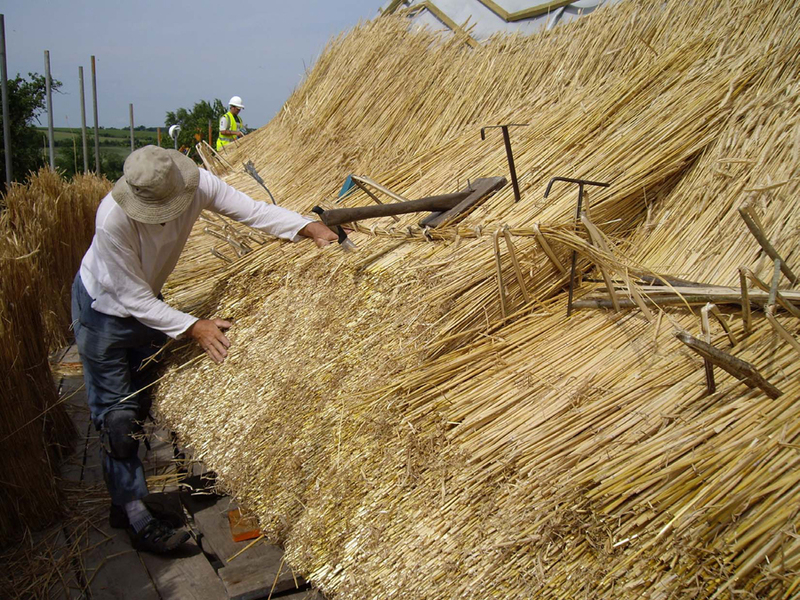 The building is an apparently freeform curve with an undulating thatched roof. 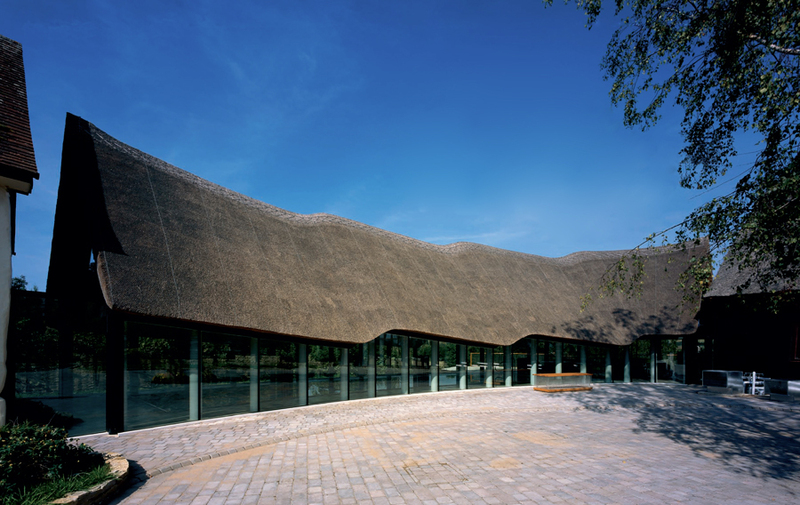 A major task was the form finding and defining that form for construction, which was a hybrid of traditional techniques - thatch, stone and lime mortar brickwork - and high tech materials - steel frame, stainless steel pool and structural glazing. 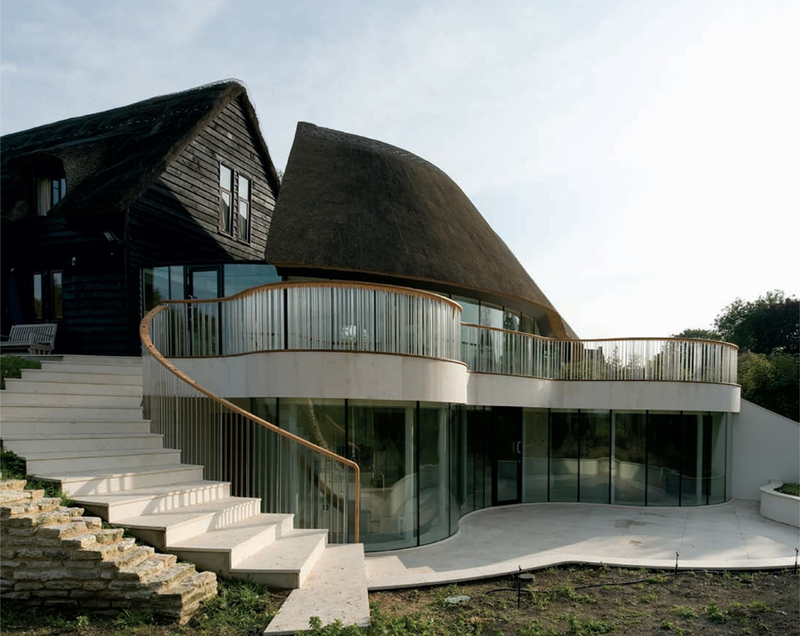 The glazing consisted of 98 unique double glazed panels, the majority of which were curved. 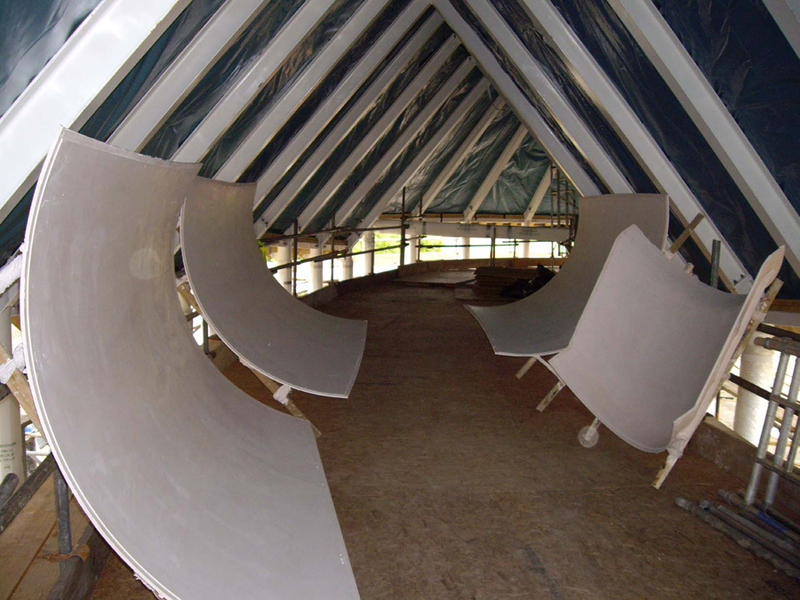 The internal lining to the ceiling is a double curved, seamless, fibrous plaster shell. 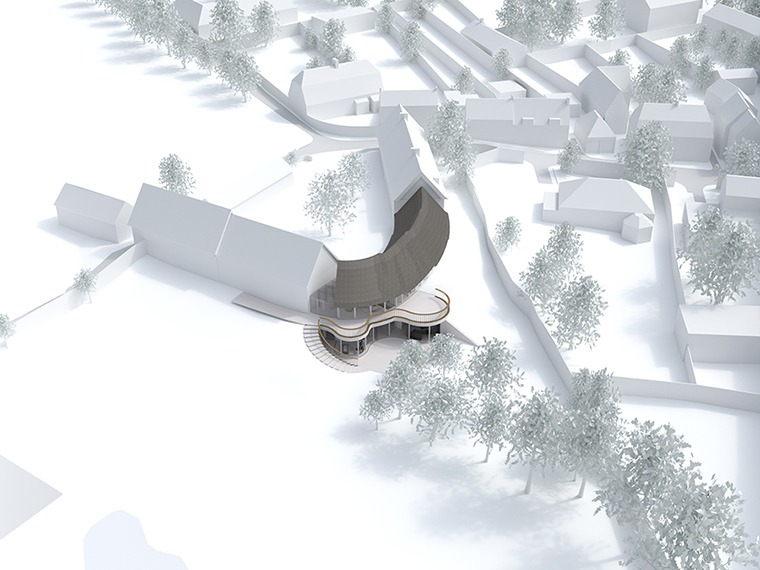 This was the project where we realised the value of building a detailed digital model from which we could directly draw construction information. 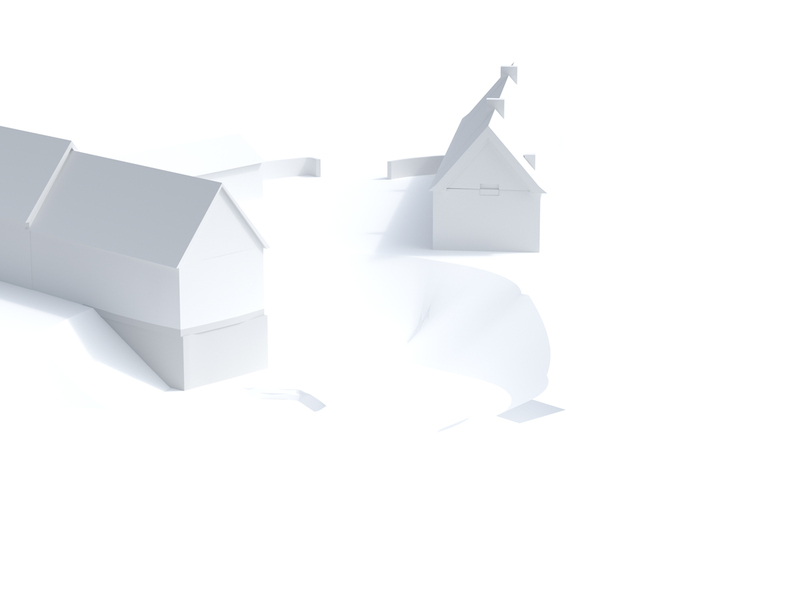 Complex 3D coordination was made possible through the fully integrated model.